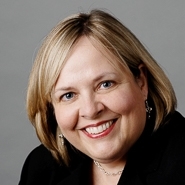 On April 18th, 2009, Lynn Janulis, Ph.D., associate at Marshall, Gerstein & Borun LLP, was a panelist for the “Intellectual Property Law Sneak Peek Day” held at the University of Illinois College of Law in Champaign, Illinois. Hosted by the Latino Law Students Association, the IP Sneak Peek Day offered minority and women undergraduate students a unique opportunity to learn about law school and intellectual property legal careers. During the event students attended a mock law school class and had the opportunity to ask a panel of law students about their law school experiences. Students also participated in lively small group discussions about various IP topics facilitated by Dr. Janulis, among others. The IP Law Sneak Peek Day concluded with a panel discussion where the attorneys described their diverse paths to the IP legal profession. Read more about Diversity & Inclusion at Marshall, Gerstein & Borun.